NOTE: I’ve updated the download to include ward, stake and branch versions of the certificate AND included BONUS clipart for you to use! My file is designed to complement the other Personal Progress certificates and features a honey-bee watermark and a beehive graphic. It is the standard 8.5×11-inches in size. There is a place to add the recipient’s name, ward and stake as well as the date and Bishop’s and Young Women’s President’s signatures. 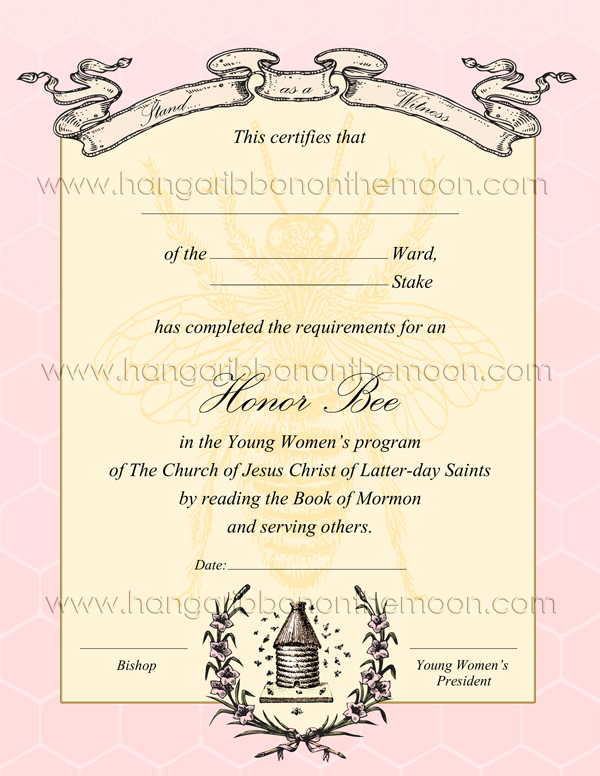 To make it easy for you to fill out my Honor Bee certificate, I’ve created an editable/saveable PDF file for you. Simply open the file in Adobe Reader, enter your information, save and print on your printer’s highest-quality setting! Easy! If you don’t have the latest version of Adobe Reader, you can download it for free here. I highly recommend you DO NOT click the box that says “Yes, Install McAffe Security Scan Plus.” You don’t need it. If you want to handwrite the information on the certificate, I’ve included a high-quality JPEG file for you. Just print using your printer’s highest-quality setting and you’re ready to go. NOTE: I’ve updated the download to include ward, stake and branch versions of the certificate. You can download my Honor Bee Certificate files by clicking here. Remember, please DO NOT share my files in any way. Send your friends here to download their own copies. Previous The 2014 Mutual Theme Is Announced! I was surprised there wasn’t one available and thought I would have to create my own. Thank you for saving me the trouble. It is perfectly beautiful! Beautiful! Thank you for sharing so that those of us not as talented as you can also have a certificate to hand out! I’m doing so this Sunday! What a wonderful surprise to find this! We are presenting the Honor Bee to two young women in our ward. They are the first in our stake to earn their Honor Bee so everything is new to us. I was looking to find a special “sticker” to put on their name that is on a plaque in our hallway with the names of all the young women who have earned their Young Women Personal Progress Award. I found this while searching for the other and was thrilled to find it. I will present this certificate to them in Sacrament Meeting tomorrow. Thank you! You’re welcome! So proud of your girls and how they are accomplishing their Personal Progress! Hello! I love this certificate you have created! I was hoping you could help me by making a file where you can edit all the words so I can translate it all to Spanish. 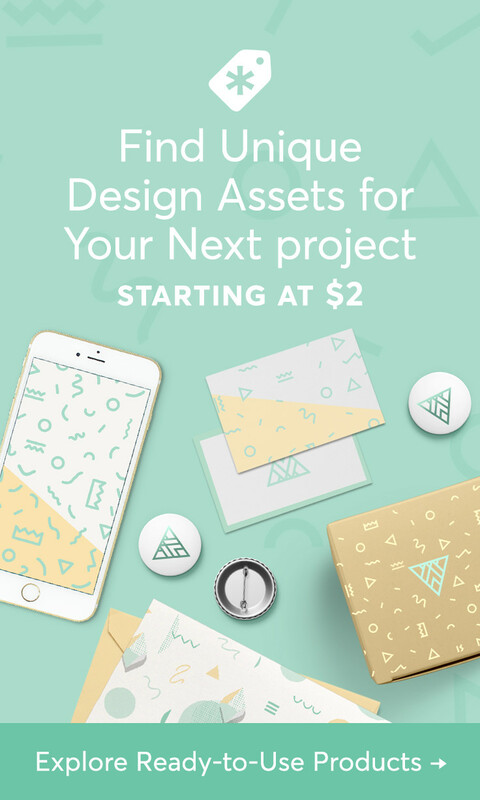 This would be a great help for us! This is a great idea! I will have to add it to my ever-growing list. I am having a hard time finding the actual honor bee charms. Can you tell me where you got them? This is awesome, thank you for sharing this certificate. It will save me time and I would not need to create one. This is my third year in YW and I finally have a young women who can receive the Honor Bee award. Thank you again. Simply amazing! just what I needed and so much better than anything I could have made! Thanks for sharing your talents! I hope I need this someday 🙂 You are so talented – thank you! Thank you for sharing your gift and talent with all the YWs Presidents of the WORLD!!! This certificate if beautiful. After I type in the information how do I remove the gray shadow behind the lettering? Thank you so very much for sharing your talents and creating such a beautiful certificate to honor our dear girls that put so much time and effort into earning the honor bee. We will be awarding one this next Sunday. Thank you very much. 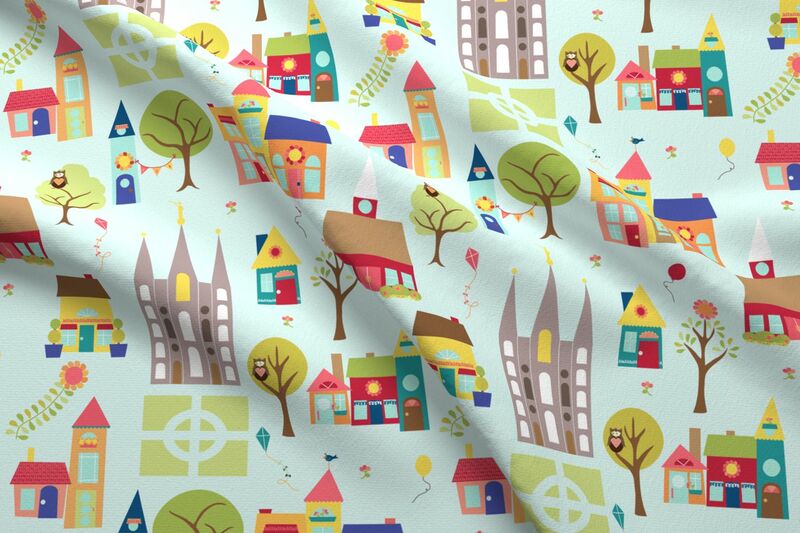 These are perfect and beautifully done. Receiving an Honor Bee is a big deal and definitely deserves the formal recognition of a certificate, along with the Honor Bee charm. This printed out beautifully with my home printer on the highest quality setting, but I might send them off to Staples for the next round to get them looking even better. I love that this also matches the style of the certificates presented with the medallions. So glad to help 🙂 You’re welcome! Is there any way that we could edit the certificate to name a Branch instead of a ward? Hi, I was so happy to find this certificate. We’ll be needing it soon. I had a question however…since Young Women is already plural, is it necessary to add the ‘s? So Young Women program instead of Young Women’s program? Hello! Good question! It is my understanding that the ‘s makes the word possessive, as in “the program belongs to the young women;” it is the same as if a company belonged to a group, you would say the “group’s company,” not the “group company.” The YW program is for (belongs to) the young women, therefore, the Young Women’s program. Make sense? What joy filled my heart when I found this beautifully done Bee Certificate. Thank you for your time and talents. This will make giving the award that much more special.